Photographer Markus Varesvuo is winner of Photofinlandia 2018 competition. Photographer Markus Varesvuo Bird Photographer of the Year 2017 Best Portfolio Winner. Photographers' Water exhibition in photographic gallery Luova, Helsinki 2017. Leuku Art Print collectors' serie. Edition 10. Wallpaper photograph by Jorma Luhta, Expo and Convention Centre, Helsinki 2017. Expo and Convention Centre, Helsinki 2017. Photographer Sami Karjalainen has won Nature Photo of Year 2015, serie Art from Nature. Photographer Marja Pirilä's camera obscura -serie has been published on National Geographic magazine site. Bugs by photographer Sami Karjalainen has spread over pages of Helsingin Sanomat newspaper. on Independence Day of Finland. on pages of leading Finnish newspaper Helsingin Sanomat. many interesting articles in newspapers and magazines. Luontokuvauksen käsikirja (Manual of Nature Photography). Photographer Rami Hanafi is known of his incredible shots of snowboarding. 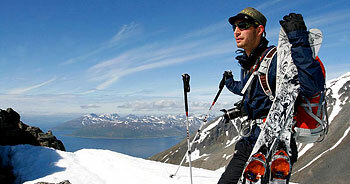 Photographer Harri Nurminen is known of his everyday reportages and images of Lapland and Sami people. with his reportage about Greece. Near-East and Africa. First time one of them is from Finland, Markus Varesvuo. and Fascinating Birds. He is one of the three authors of the Handbook of Bird Photography. Phtoto Agency Leuku has arranged the annual meeting of photographers in Tampere. Photographer Gary Wornell is one of the winners in London International Creative Competition 2012. Name of his art work is ¨Endangered Species¨. as nature photographer, writer and teacher. A Keen Light – Celebration Exhibition of Leuku in Arktikum, Rovaniemi June 7 – August 5, 2012.
by The Assisiation of Finnish Camera Clubs. Italian photographer Alberto Campi is the new member of photo agency Leuku. Photographer Gary Wornell has been awarded as nominee in the 5th Annual Photography Masters Cup. You find his images in Leuku with word search Pakistan. Original member of Leuku, photographer Pekka Antikainen has moved to new picture agency: www.igallery.fi. 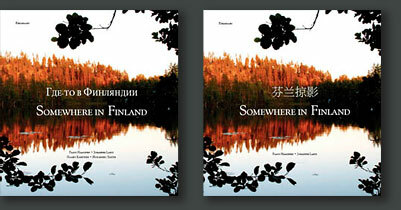 is published in English-Russian and two English-Chinese editions. Arts Council of Pirkanmaa has given the Art Award 2010 to photographer Marja Pirilä. 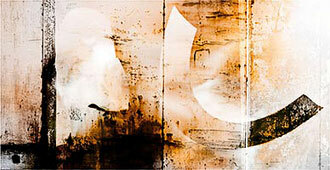 Arts Council of Häme has given the Art Award 2010 to photographer Gary Wornell. Photographs by Gary Wornell widely shown at Epson stand, Photokina 2010. Photographer Gary Wornell was nominated in International Color Awards | 4th Annual Photography Masters Cup. Photographers of Leuku had their annual meeting at 6th and 7th of February in Tampere University. Two new photographers in Leuku. Kari Pietilä (nature) and Jussi Murtosaari (animals). Photographer Jorma Luhta has got one year grant for his artwork from the Arts Council of Finland. And photographers Marja Pirilä and Petri Nuutinen has got grants for their solo exhibitions. Martti Kapanen is the Finnish member of International SETSE project (Seeing Europe Trough the Strangers Eyes). Eight photographers from different European countries are working two months in unfamiliar surroundings. Kapanen works in Budapest, Hungary. The theme of project is "Family and food". 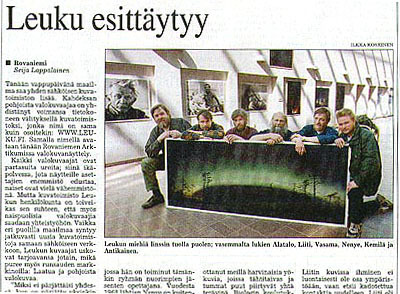 LEUKU, first On-Line Photo Agency in Finland, celebrated 10 Years Anniversary with an exhibition in Helsinki. Photographers Kirmo Wilén and Markku Saiha, has been photographing in China again. Photographer Jorma Luhta's new book Starry Nights. WWF has chosen the book as the "Nature Book of Year 2009". Photo: Skier in the night, falling star, Finland 2008. Interview of photographer Antti Saraja in Journalisti magazine on December 3. 2009. Leuku Photo Agency has got new members – Miika Sirkiä and Timo Veijalainen. Photographer Gary Wornell has a show in Riga, Latvia, as a part of NOASS Artist in Residence 2009 event. He was also Shortlisted Finalist and Honorable Mention Winner in the LICC (London International Creative Competition). 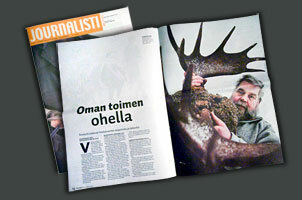 Large article of Gary Wornell and his artworks published in Kameralehti 5/2009. www.leuku.fi was opened May 1. 1999 as the first On Line Photo Agency in Finland. During this year there have been already over 1,3 million views of images on our web site. Paavo Hamunen has a new website www.paavohamunen.com. Estar Studiosin booklet got second prize. Photographers Jorna Luhta, Markku Saiha and Pekka Antikainen got the certificate of merit. Markus Varesvuo got second prize of his book Selviytyjät – Lumen ja jään linnut. The Hunting Museum of Finland, Riihimäki, photograph by Paavo Hamunen. Opening of Gary Wornell exhibition at Riihimäki Art Museum. Exhibition open from January 25 to March 29. 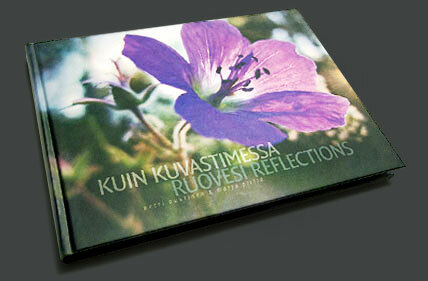 Photographers Petri NuutinenPhotographers Petri Nuutinen & Marja Pirilä has published a new photobook Kuin kuvastimessa Ruovesi Reflections. 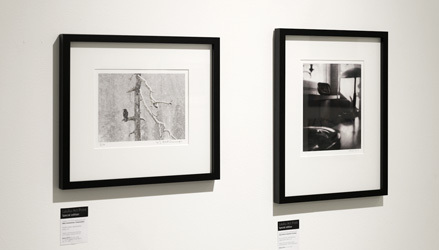 Photographer Gary Wornell's work represented at the Epson stand at Photokina, Cologne - Germany. The Finnish Labour Museum Werstas in Tampere. Photographer Markus Varesvuo's image has been selected to FREEZE FRAME -porfolio of BBC Wildlife –magazine. Markus Varesvuo has partisipated the biggest nature photo project in Euroope. 55 photographers has been working in 44 European countries. Phtographer Petri Nuutinen got the award for personal artistic working given by Suomen Kulttuurirahasto/ Pirkanmaan rahasto. Photographer Kirmo Wilén got the award for personal artistic working given by Suomen Kulttuurirahasto/ Etelä-Karjalan rahasto. Photographer Gary Wornell got the award for personal artistic working given by Suomen Kulttuurirahasto/Hämeen rahasto. Photographer Kari Palsila leads Leuku to future and he takes care of new projects and international contacts. e-mail kari.palsila@leuku.fi or gms +358-40-552 8582. 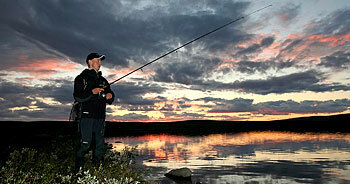 Most important fields of Seppo Keränen are Baltic sea, culture and nature of archipelago, arctic hills. Also his China images are in Leuku. Leuku is the first On-Line Photo Agency in Finland.